Flaxseed is the seed that comes from a plant known as Linum usitatissimum. This is commonly used in both food and medicine. 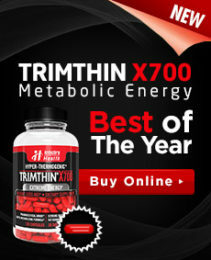 This includes use in supplements that are used to help people to be able to lose weight. That said, supplements don’t always list this ingredient under the name of “flaxseed.” The reason is that there are a large number of different names for this ingredient and they all refer to the same thing. Among them are: linseed, brown flaxseed, echter lein, flax, flax meal, flax hull, flax seed, golden flax, fachssamen, flachs, keten, lignanes to lin, lin, graine de lin, common flax, alasi and aliviraaii. Both the flaxseed itself and the oil are used for medicinal purposes. That said, it is more common for the seed to be used when it comes to including it in supplements for weight loss. Aside from weight loss, the seed is also used for supplements aimed at improving a range of gastrointestinal struggles such as colon damage due to excessive laxative use, chronic constipation, large intestine inflammation (diverticulitis, diarrhea, irritable colon, irritable bowel syndrome (IBS), ulcerative colitis, gastritis and enteritis. Beyond gastrointestinal challenges, flaxseed may also be used in the treatment of blood vessel and heart issues such as atherosclerosis, high cholesterol, hypertension and coronary artery disease. It has been used for people with attention deficit hyperactivity disorder, acne, systemic lupus erythematosus, kidney issues, HIV/AIDS, diabetes, menopause symptoms, breast pain, depression, rheumatoid arthritis, malaria and bladder infections. Some will use it to reduce osteoporosis risk, and to protect against colon, lung prostate and breast cancers. Others use it for upper respiratory tract infections, sore throat and cough. Much of the flaxseed’s benefit comes from the fact that it is both a good source of omega-3 fatty acids as well as dietary fiber. The fiber is found in the seed coat whereas the omega-3 is mainly in its meal. Some researchers have found that when ground flaxseeds are taken before a meal, the fiber makes them feel less hungry so they are less inclined to overeat. Researchers have speculated that the flaxseed fiber binds with blood cell cholesterol, reducing the stickiness of the cells responsible for clotting (platelets). 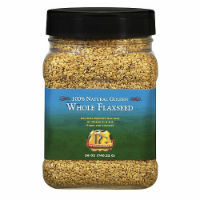 That said, studies have yet to directly link the use of flaxseed with actual measurable weight loss. While it may help people to eat less during meals, 12 week studies of overweight adults who have taken 40 grams of flaxseed fiber before a meal did not lose a statistically significant amount of body mass or overall weight.